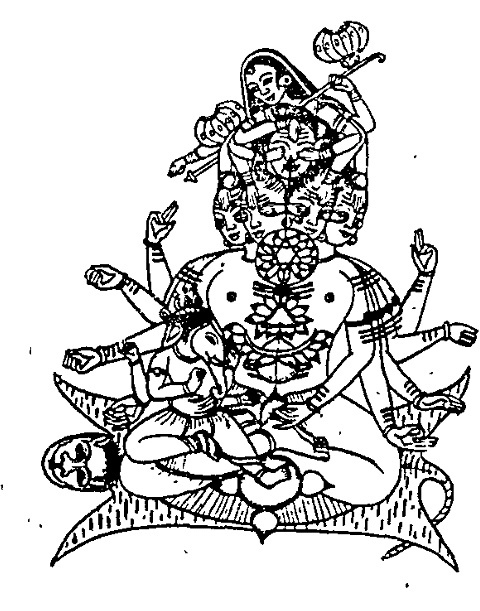 Like brahmasutra , shiva sutra ganpatI sutra there is a small treatise called shaktI sutra . This shaktI sutra describes brAhman as shaktI with shAkta point of view having mixture of ‘trika’ , shAkta & vedAntic philosophies. 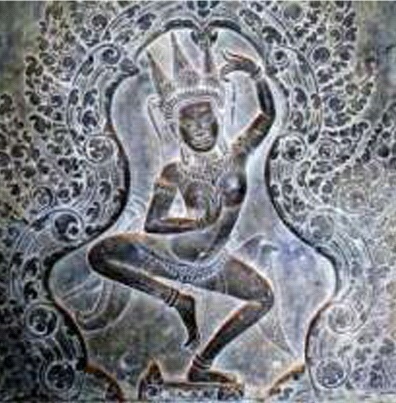 There are different versions of shaktI sutras , describing shaktI as brAhman ( or parabrAhman as shakti ) . The very following version is attributed to agastya maharshI , who with personal experience of srI vidyA sAdhana wrote this shakti sutras .This time I’m posting mula sutras , if ambA will allow next post will be translation in English. Following is a comprehensive list of several UpAsanAmurtIs of dhUmA-bhagvaty based on kAlamrityu tantra , dhUmravArAhI kalpa , saubhAgya dhUmAvatI kalp, Ugra dhUmAvatI kalp, kubjikopnishada , saubhAgya kAnda of atharvan veda ( also known as mahAtharvan samhitA ) and personal conversation with sAdhakas of kAkadhwajI. 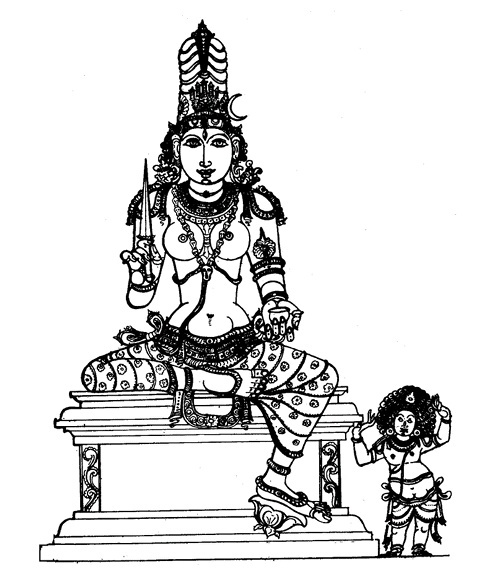 kAlamrityu tantra in conversation between shiva and skanda kumAra describes UpAsana of kAka-dhUmAvatI, mohinI dhUmikA ,UchchAtana dhUmikA, trailokya mohinI dhUmAvatI and vidvaishana dhUmAvatI . and dhUmrAstra rupiNI are described in dhumravArAhi kalpa and partially in kAlamrityu tantra .A combination of vArAhi and dhUmAvatI is described. Yantras , gurUkrama , mantras, and several prayogas of Atharvan dhUmAvatI are described in mahAtharvan samhitA but unfortunately text is lost only mantroddhAra and yantroddhAra of atharvan dhUmAvatI are preserved in my tradition. 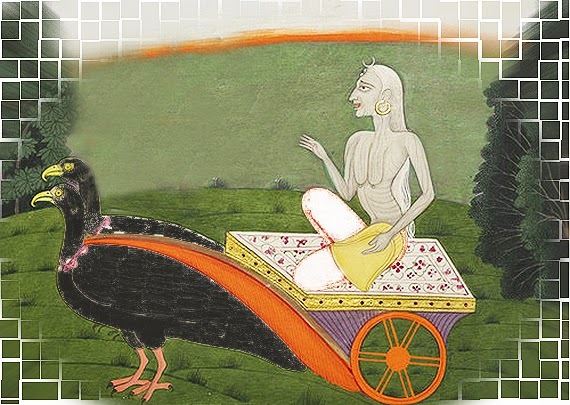 kAkarUdha dhUmAvatI is described as sitting on crow and raTharUdha dhUmAvatI is described as sitting on old and damaged chariot mulamantra is same in both cases but dhyAnas differ. 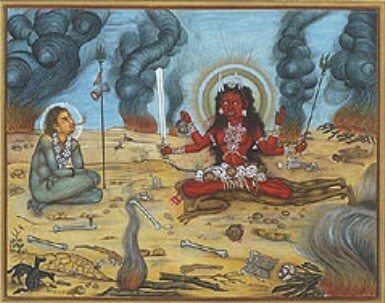 dandahastA dhUmAvatI is employed in case of deha kilana ,shatrU tAdana and shurpahastA dhumAvatI is employed in dhananAsha and dAridryakarna prayogas. 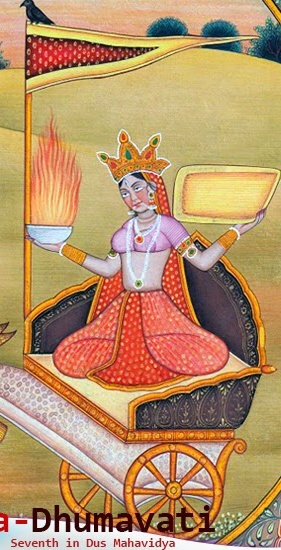 shivabhakshiNI mahAUgra dhUmAvatI is employed in pretabAdha , bhutabAdha , pishAchabAdha , dakinI dosha , sarpa dosha , shAkinI dosha , graha kilan , shatrU nAsha , shatrU mArana , para krita praypga nAsha and tantra bhakshana. 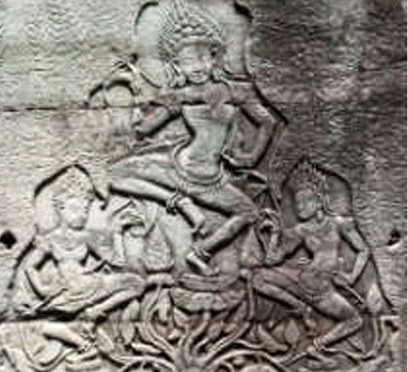 ,meghanAdopAsita murtI , AdInAthopAsita murtI , charpatbhanjana nAtha Upasita murtI and avdhUtopAsita murtI are due to mantrabheda and UpAsaka bheda . 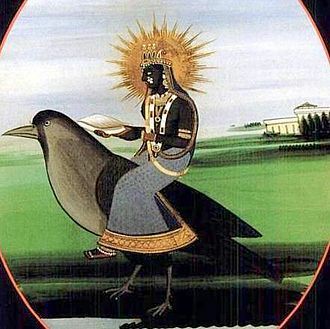 In vAtsalya dhUmAvatI rupA she is to be worship by pautrabhAva ( as a grandson of devI ) , this most saumya murtI of ambA. 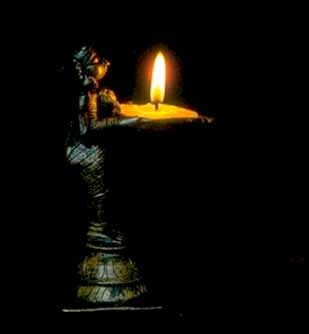 shAbar dhUmAvatI is worshipped by siddhAs and siddhamArgis ( nAtha yogis ) , generally in their dhunI in form of smoke . 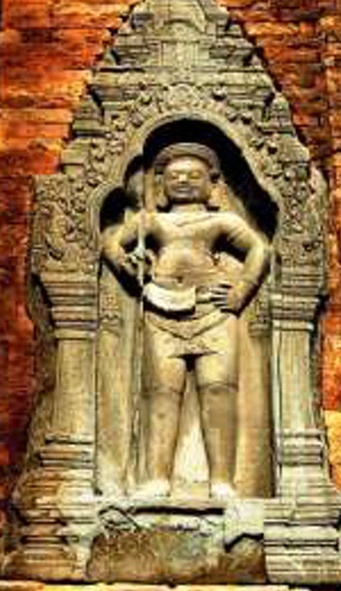 jyeshThA dhUmikA and kAkachandesheshwarI forms are generally worshipped by kApalikas, aghoris and kaulas. 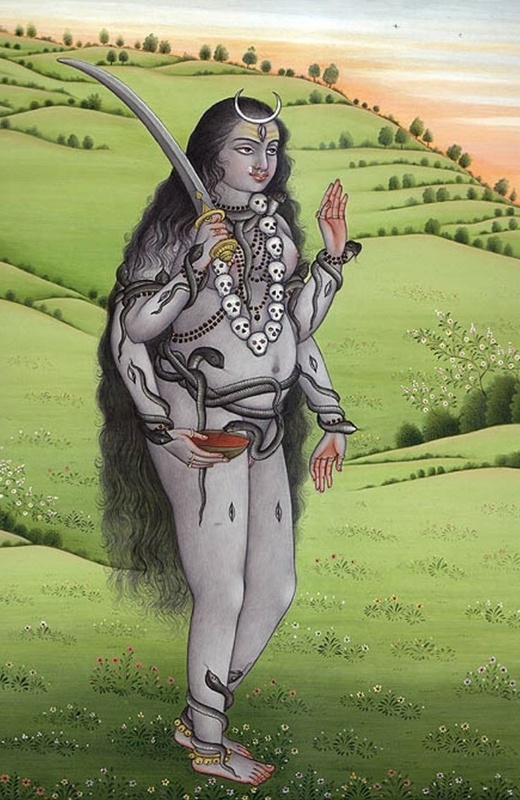 and UrdhvAmanAya dhUmAvatI are UpAsanamutIs due to AmnAya bheda , in pashchimAnAya she is employed for shatrU samhAra and svarakshA but in contrast UrdhvAmanya employs her in kundalinI jAgrana , karmabhakshana and tivravairAgya.